The news is littered with gruesome attacks all over the world, from robberies to terrorist attacks. Hearing of these acts of violence makes us shake our heads in disbelief, how one human being can inflict such hate on another. Occasionally, stories breach the media that send a chill down your spine. 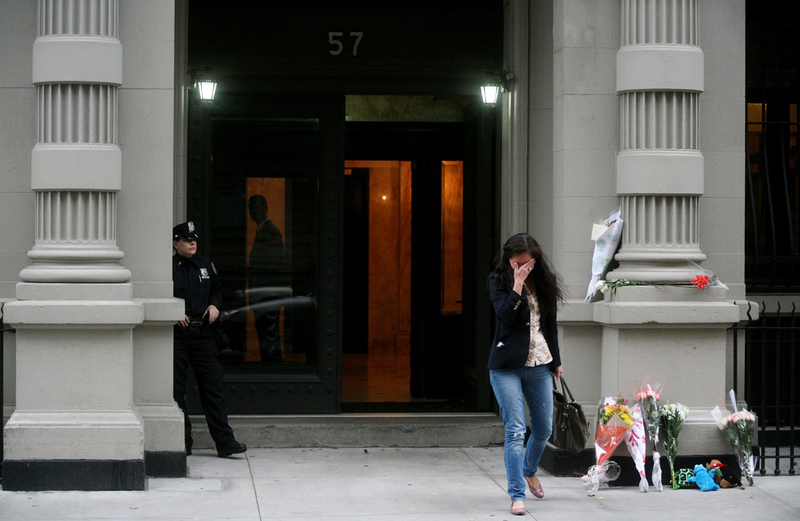 There are crimes that remain unfathomable; like the one that occurred in New York City Friday. In a three story home located in Queens, screams echoed throughout the mainly Chinese immigrant neighborhood in the early morning as stab victims were discovered. The case is atypical in that most of the victims were innocent newborn babies who were resting from their tiring entrance into this world. Three babies and two adults were stabbed in what is being discovered as an illegal birthing center in New York City, according to ABC News. One victim, a thirteen day old baby named Atiana, was stabbed clear through her body with a butcher knife to the right of her naval, according to the New York Post. Little Atiana was two stories below her parents when they heard screaming and commotion. Her dad ran down and grabbed the baby. “I’m dreaming or something,” Chen Wang, Atiana’s father said as he recounted the horrifying incident, according to the New York Post. He did not realize that his first child had been stabbed until he ran upstairs and saw the blood. Wang then ran the baby outside to receive medical care. Out of the nine infants inside the home, the three who were injured were rushed to the local hospital and are expected to make a complete recovery. How could someone do such a senseless act of violence to the most innocent of victims? Found in the basement of the illegal maternity facility was the 52-year-old disturbed suspect Yu Fen Wang. She was unconscious from an apparent self-inflicted left wrist laceration, according to ABC News. Wang was rushed to an emergency facility for non-life threatening injuries. Wang is thought to be an employee of the facility, and is being reviewed for psychiatric issues. One would have to have some serious mental health problems to be able to stab multiple newborn babies. Two knives were found on the scene, a butcher knife and a meat cleaver, police reported. These weapons are a very intimate method of attempted murder. As far as police can tell there is no motive for these heinous crimes, but further investigation may uncover more information. Police initially thought the private residence was a sort of daycare facility, but upon further investigation it appears the home served as a birthing center for immigrant women. In Chinese custom, women are supposed to have a “sitting month” where they stay indoors for a month to regain their energy and heal. This concept has inspired many lavish maternity housing centers that cater to mom and baby for a month to fulfill this custom. The home the stabbings occurred in was a low-budget version of this idea, but still ran mothers about $4,600 for the month, according to the New York Post. The home where the stabbings took place was not licensed, and mainly relied on word of mouth for their business. Shockingly, the unlicensed ward was operating as maternity housing for ten years undiscovered before Friday’s catastrophe. It is scary that people are capable of executing such horrendous crimes. It is a real blessing, however, that the precious little ones injured in the attacks are expected to recover and get another start at life. These illegal facilities are dangerous for the health of the mothers and the health of the babies by not having screened professionals to work with the fragile newborns. Many of the inhabitants of these facilities are looking to have their babies in America in order to get citizenship for them, while the parents are here illegally. This reveals the ongoing issues of safety concerns regarding illegal immigrants who look to find loopholes in the system, rather than seeking legitimate routes of citizenship. The discovery of the home in the borough of Queens should help shed some light on this growing danger. Please let us know in the comments section what you think of the maternity facilities, and their safety.